Aspire CF SUBΩ Battery Now in Stock! 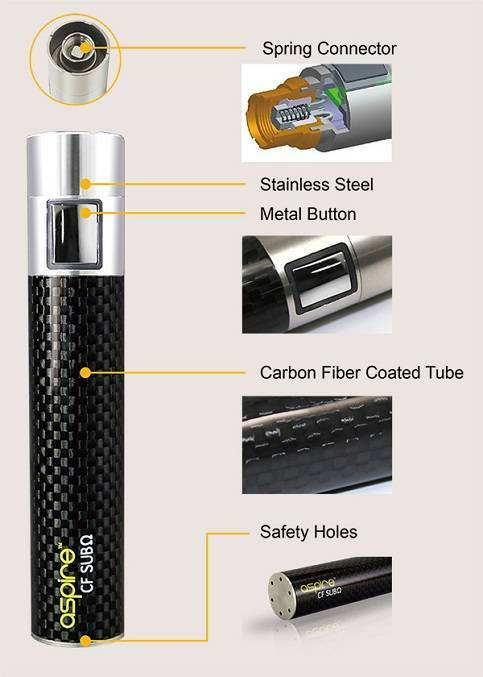 The Aspire CF Battery series is a high-end e-cigarette power system featuring stainless steel endpoints, a metal button, and a carbon fiber coated tube. The Aspire CF Batteries contain a unique and revolutionary spring connector technology that ensures that there will always be a strong connection between the battery and e-cigarette tank. 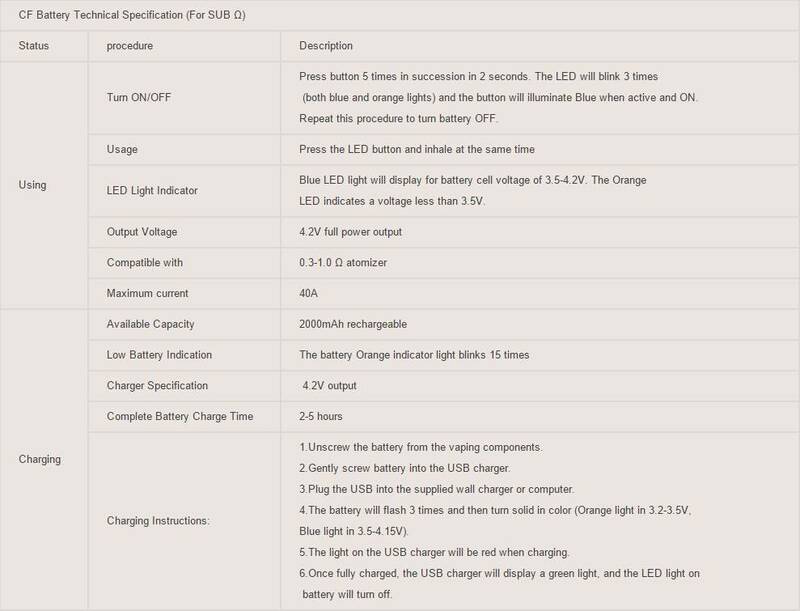 The structural design and control circuit of this battery series make using it extremely reliable and stable. Aspire CF subΩ battery supply intense power for low resistance atomizer.